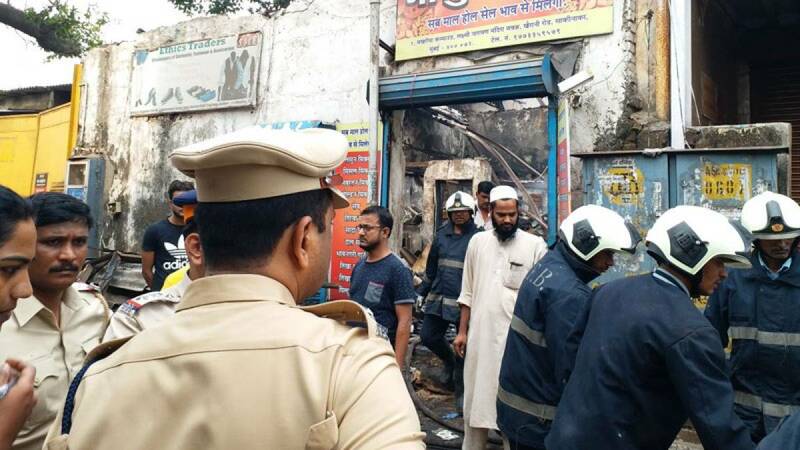 Mumbai : At least 12 persons were killed in a massive fire that engulfed a snacks and sweetmeat shop in Andheri east area here on Monday, police said. According to the BMC Disaster Control, the blaze was reported in the Bhanu Farsan shop on Khairani Road near the Laxmi Narayan Temple of Sakinaka, around 4.15 a.m. The fire, due to a suspected short-circuit, quickly spread to huge stocks of food, clothes, furniture and electrical fittings. The shop, where large quantities of ready-to-eat dry snacks were manufactured in an area measuring around 200 square feet, came crashing down, trapping people, mostly workers inside. The victims, whose identities are being ascertained, were taken to the Rajawadi Hospital. Around five to six workers managed to escape, witnesses said. Three fire-tenders, four jumbo water tankers and ambulances managed to extinguish the blaze shortly.